The Society runs a Training Match in the Spring. 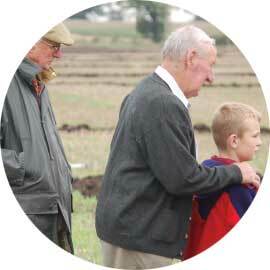 This Match is for beginners young and old, and those wishing to improve their skills at Match Ploughing. Whilst there is a competitive element, the emphasis is on tuition and there will be experienced Match Ploughmen to give guidance.